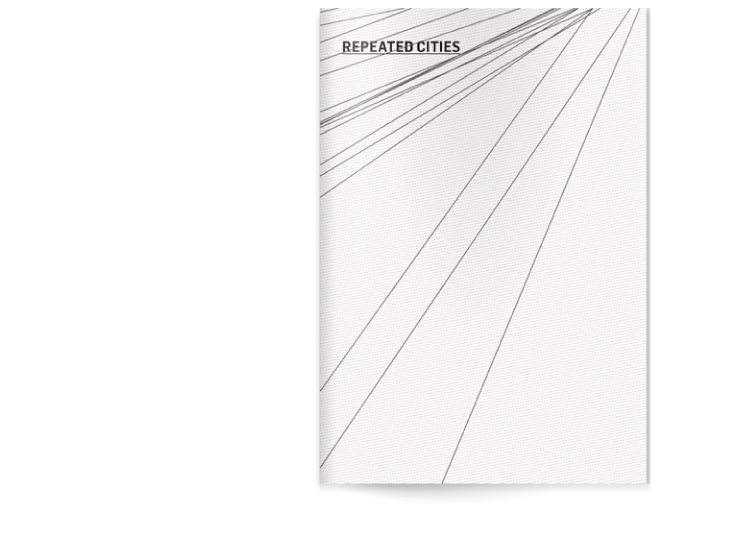 Repeated Cities Book from Camila Afanador on Vimeo. 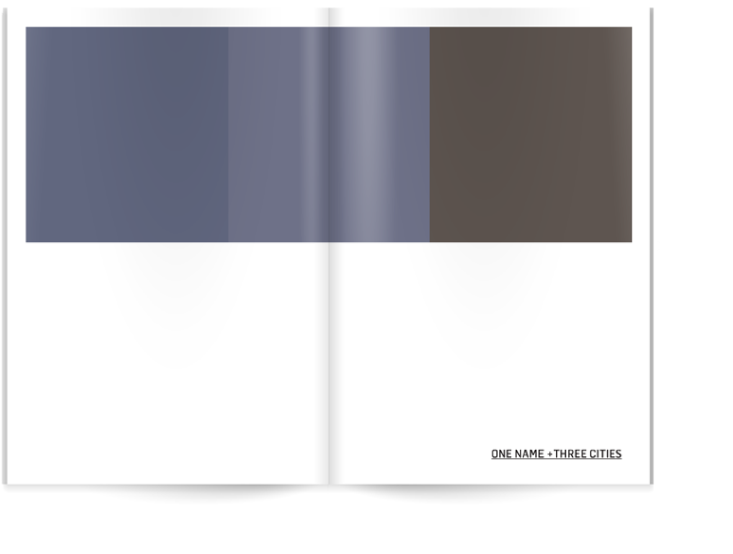 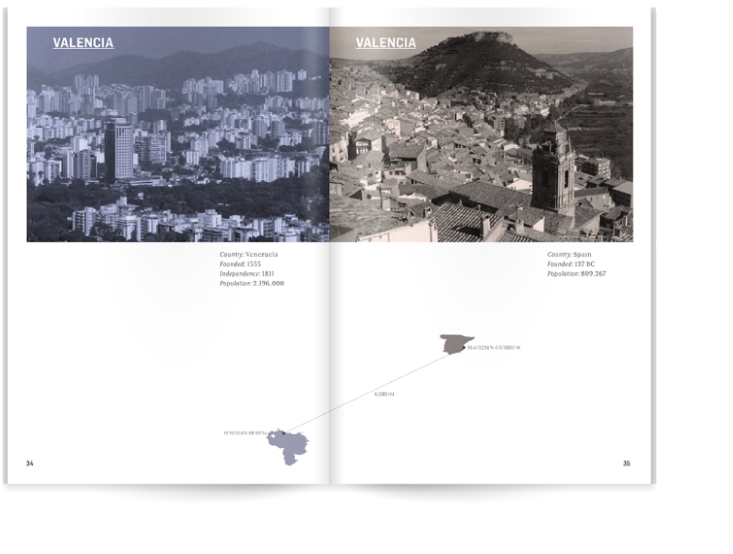 This book is a collection of homonymous cities in Spain and Latin America. 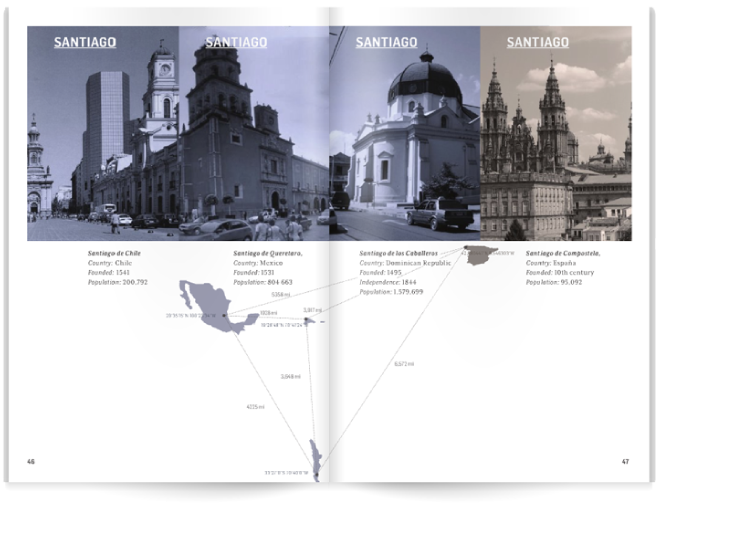 As part of Latin American heritage from Spain, several cities where named after Spanish towns. 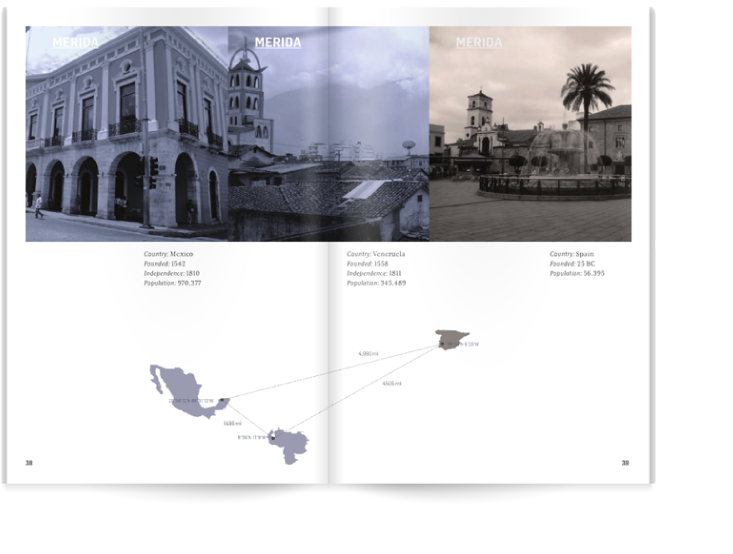 A crucial part of Latin American identity is bounded inevitable to Spain, as one part of Spanish identity is bounded to Latin America. 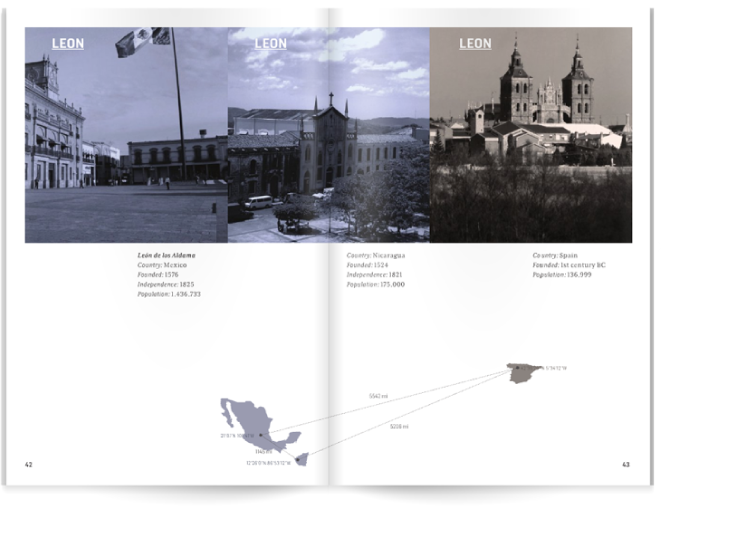 These cities share their name and the urban design of Spanish towns that developed surrounding a main plaza. 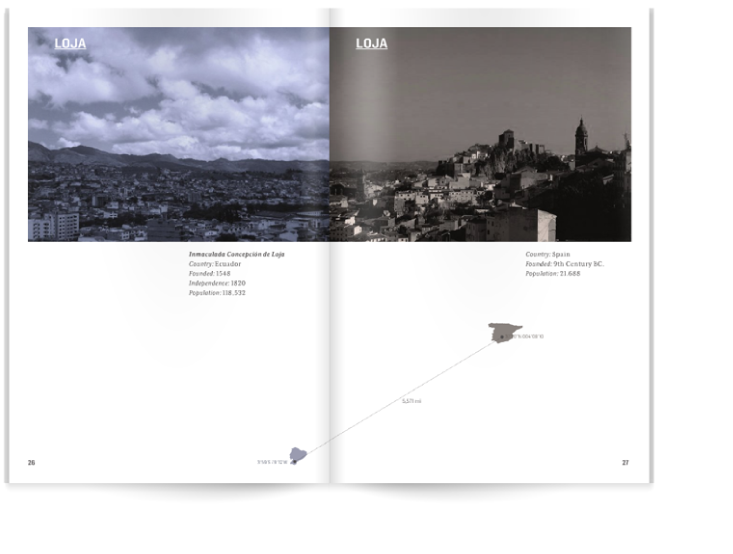 The book also shows complementary information of the cities as their foundation dates to make evidence of the Old Continent in contrast with the New World. 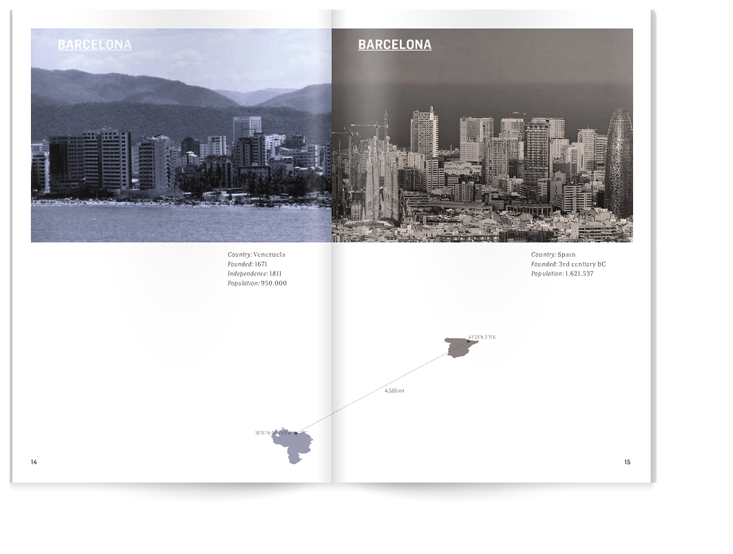 These cities are echoes, resonances of an urban project that took form in both sides of the Atlantic, and that today has its remnants in city names and architecture.